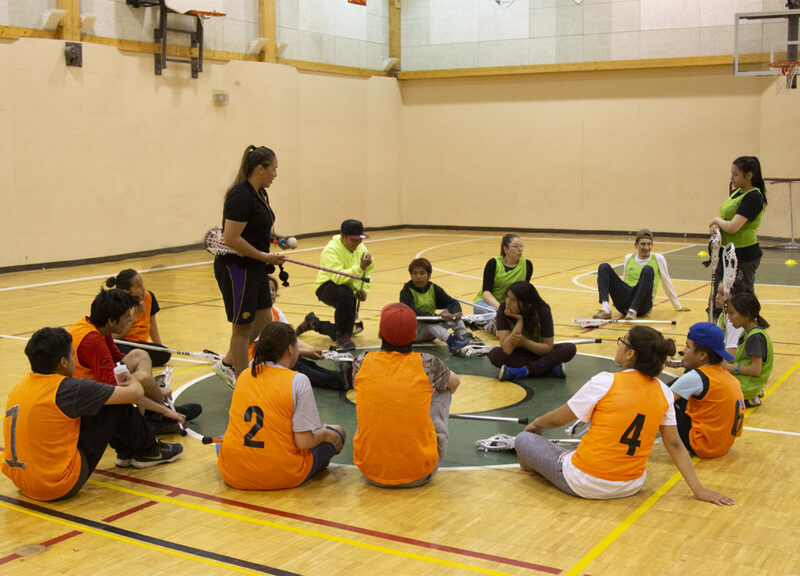 Lacrosse star Mekwan Tulpin’s involvement in Indigenous Sport & Wellness Ontario’s (ISWO) Standing Bear Youth Leadership Program over the past year has been all about giving back. A proud Ontarian of Mushkegowuk Cree and Belgian descent and member of Fort Albany First Nation, Tulpin has been a trailblazer in her sport as part of the first Canadian and first Belgian women’s national lacrosse teams. As the High-Performance Coordinator at ISWO, she finds great joy in being able to pour into the next generation by introducing them, through Standing Bear Cultural Camps, to the sport that transformed her life. “The beautiful part about sports for me was building confidence,” said Tulpin. “I didn’t feel comfortable as an athlete until my older years and there are many youths that struggle with that as well. Having competed in three North American Indigenous Games as an athlete, coach and sport manager, Tulpin is deeply aware of the cultural aspect of this traditionally Indigenous sport and enjoys passing this knowledge on to youth. Pleased with a busy and successful 2018 with ISWO in the High-Performance department and as a facilitator with Standing Bear, Tulpin says she’s thrilled for what 2019 has in store. Standing Bear is a culturally grounded program developed by Indigenous Sport & Wellness Ontario to strengthen individual and community wellness by empowering Indigenous youth in making positive change. Visit iswo.ca for more information on 2019 programming near you.